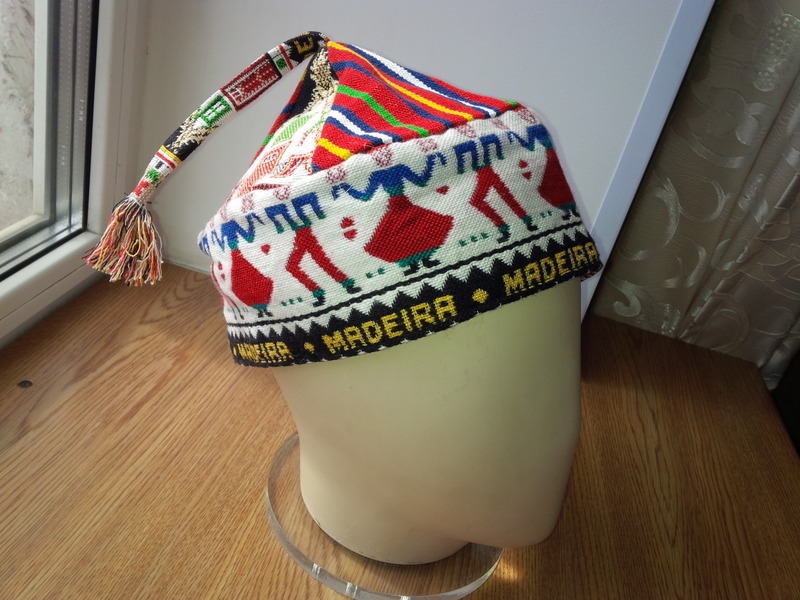 The carapuça is an old headdress which spread in Madeira in the late 18th century influenced by Portuguese models. 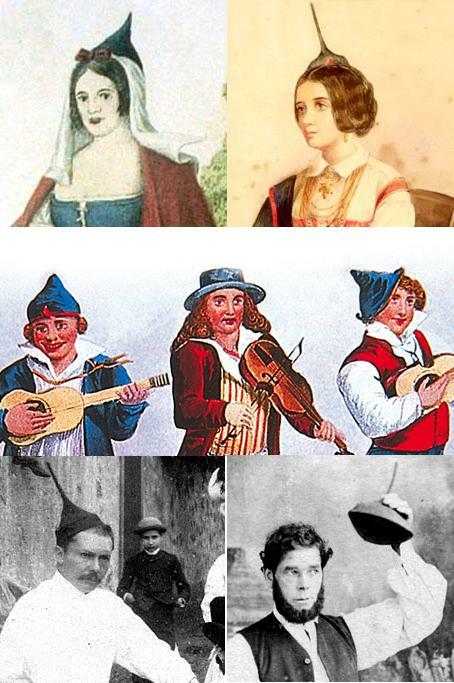 Different from the barrete, it did not cover the whole head and served as a fashionable accessory rather than the cover. 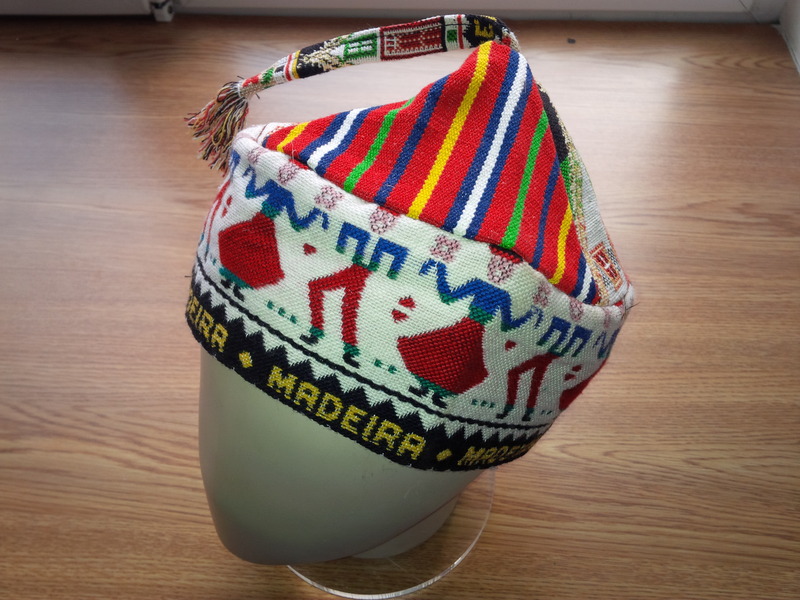 It was mentioned by authors of the 19th century and was worn by both men and women of the island: now mostly made for souvenirs. Portugal, Madeira Island, 21st cent.